My name's Jay and I am an 9+ years experienced web developer. I would like to discuss further about your project so that I can submit you a detailed quote. Hi Joann, I've reached out to you via Skype to discuss your requirements for the redesign in detail. I have over 20 years web development experience and have many happy clients all over Australia. I'd love to work with you to achieve your online goals. Regards, Ryan. I am happy to help you convert your existing website to modern looking professional website with the new features you are looking for. I can finish the website within a week. I am a web application developer with more than 10 years experience in similar projects. I can redesign your website completely in to an online reiki treatment room. Where customers will be able to sechdule appointment, contact you via viber or skype or any other contact method you prefer. There will be three buttons as per your requirement, i.e. Reiki treatment, Reiki share and Reiki treatment. I will makesure the landing page is userfriendly and it will increase your revenue. Since I am doing Website designing and SEO for more then 4 years. Therfore, I will do On-Page SEO for free along with it. Also I will create a blog so you can blog about your services if you want, since good quality optimized articles will help you rank your site easily and will bring new clients. I am based in Melbourne and i have a dedicated which specializes in website desigining, Search engine optimization, Social media management and optimization, graphic designing, animated videos, writing and many more. How about we talk about it if you want? 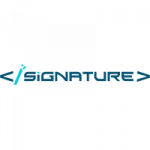 Hi Joann, we are a small web design group and have strong focus on exception client support. We can convert your existing website and include appointment and video communication as you have requested. This can be in Joomla, as you have noted, or any other open source CMS if you prefer. I see that your existing site has some e-commerce functionality. We would also include e-commerce in your new site. We are excited to have the opportunity to discuss your project in further detail. 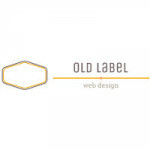 You can view our growing portfolio at www.oldlabel.com. Hi Joann, we are a team of web developers, we would like to get more info about your project, i have attached portfolio to my profile if you like to have a look. Hello Joann, I am an Australian based freelancer, working part time in this role, and have been working with WordPress for some years now. 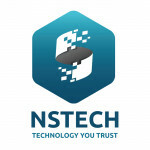 My services include going beyond just the standard design and build, but also include some basic protection measures against malicious attacks on your site, basic SEO strategies, as well as being able to help you with maintaining your content and being able to connect with your clients via whatever means you wish (eg. Skype and/or Viber, as you have suggested). I would very much like to discuss this project with you further. Hi, I can do a lot in a small time frame. I'm thinking to call you for more clarity, can I have your direct number/Email address please ? I'm equally excited to work on your requirement..
Sure, I will call you according to the given timings. Can you please share your direct number? Or you could email me your contact details. I would certainly like to discuss your project with you further, to get a better understanding about your requirements and how we can fulfil these. If you can provide some contact details so we can have a chat that would be great.